This sample classroom report shares interesting information about an insect. Click beetles make up the family of Elateridae and the order of Coleoptera. Click beetles are also known as snapping beetles, skipjack, and spring beetles. Some click beetles live in decaying wood, but others live in tropical regions. Click beetles are wireworms, long slender worms that bore into the seeds of young corn, wheat, and grains. They also feed on roots of garden and field plants. Did you know that they’re about 700 kinds of click beetles in the USA and Canada? Click beetles are named for the clicking sound they make when propping themselves in an upside down position. They also bend their heads and prothorax backwards and straighten suddenly with a snapping motion. Click beetles can propel themselves as much as six inches. That is amazing. They can scare away an enemy by doing this. The click beetle has a long brown body or sometimes it has black, gray, and bright colors on it. It can also glow in the dark. It walks kind of funny, sort of a strut sort of walk. It will move one side of its body then the other. After reading up on click beetles, I think that they are very interesting creatures. The Click Beetle by Thoughtful Learning is licensed under a Creative Commons Attribution-NonCommercial-ShareAlike 4.0 International License. 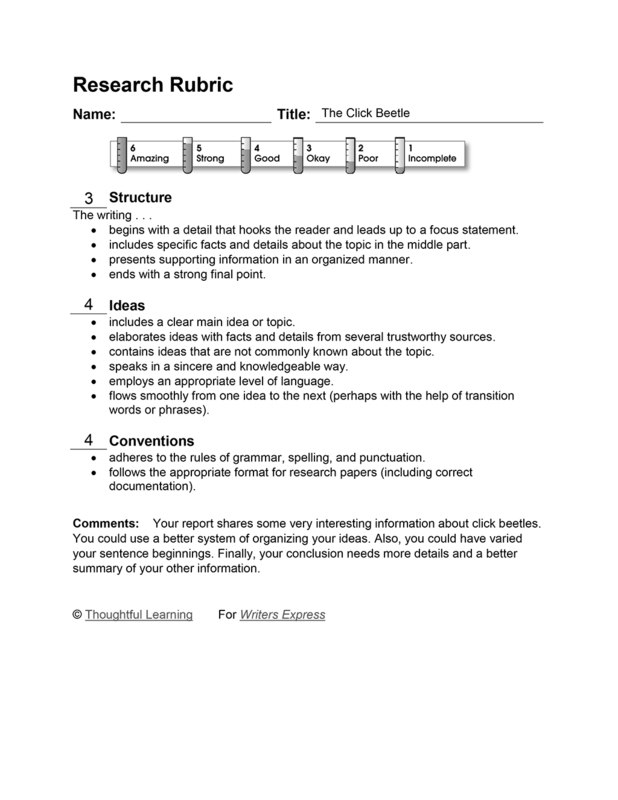 Based on a work at k12.thoughtfullearning.com/assessmentmodels/click-beetle.